Click the button below to add the Plate 0, Vol.1 Index Map - Washington DC 1919 Atlas Old Map Reprint - Baist Vol.1 to your wish list. 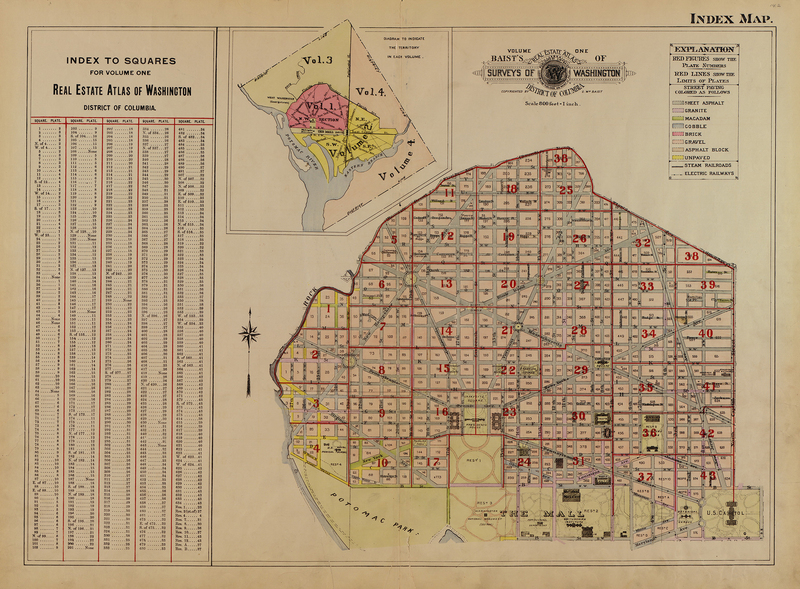 Source Map - Baist's Real Estate Atlas of Surveys of Washington, District of Columbia. Complete in Four Volumes.